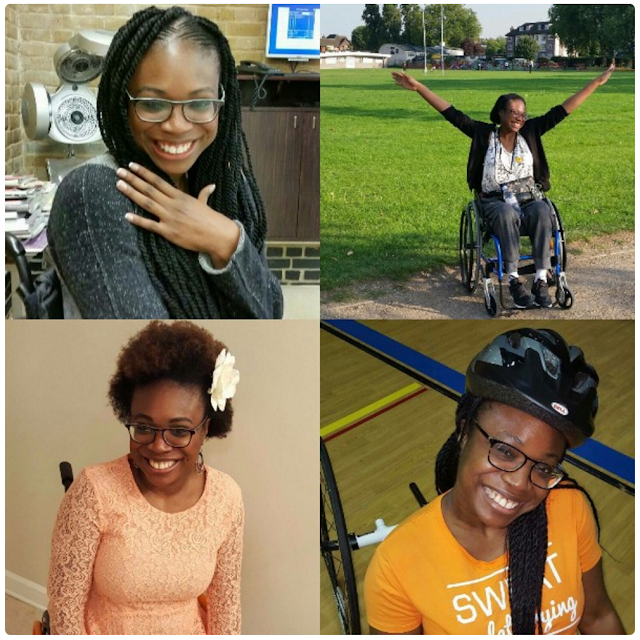 Efena Otobo's story is a heartfelt journey of a young lady determined to overcome paralysis caused by a spinal cord injury. Efena was involved in an accident which affected her spinal cord. So she is raising money for her restoration. She is trying to raise £170,000. She has already raised £27,200 as shown on her GoFundMe page. You can also donate to this fund on this page too. Here is her story told by her sister, Kome. My name is Kome Otobo and I live in London, England. On the 21st day of April 2014, one single catastrophic event completely altered my sister's universe. My sister tells the story from her heart, in the write-up below and in the video titled "Efena's Story: Overcoming paralysis one step at a time". A reckless driver caused a horrible car accident that had immediate and severe consequences. After numerous tests and scans, the diagnosis given was a complete T4 spinal cord injury which in 'regular person speak' meant I could not feel anything from the waist down, plus there was very little chance of ever walking again. My family, friends and I were beyond devastated because we were told that the road to recovery would be long, hard and punishing. My life came to a screeching halt and I was torn from everything I knew. I was an Asset Manager at the Asset Management Corporation of Nigeria (AMCON) with a background in Economics and Politics (BSc.) from the University of Bristol, England and a concentration in Development Studies (MSc.) from the School of Oriental and African Studies, University of London. I loved travelling, writing, poetry, art, architecture, the world of movies and TV shows, running, yoga and Pilates. Now with this prognosis, being labelled a paraplegic meant I was confined, restricted and immobilised. Suddenly, I was a baby once again. I had to re-learn how to sit up and balance at the edge of the bed, be taught how to dress myself and I had to learn how to roll over. It seemed like a never-ending nightmare I could not escape from. Physiotherapy became a constant and I spent hours in hospital gyms and rehab facilities trying to build up my upper body strength, learning how to execute perfect transfers from the wheelchair to any surface and preventing my leg muscles from dying. Without the tireless guidance from the physical therapists and the aid of the different breakthrough assistive devices and technology such as standing frames, exoskeleton machines that enable me to walk etc., I would not be where I am today. To get the best chance of total recovery from my current state of paralysis, I desperately need specific equipment that I can use at home. Continuous use of rehab programs at Wellington Hospital, London, Project Walk San Diego and Beyond Therapy, Shepherd Center in Atlanta, Georgia has been essential but the bills have been, and continue to pile up. 1. Purchase an exoskeleton which is an assistive device that enables me to stand and walk. By using an exoskeleton on a regular basis, my muscles and nerves in my legs and brain will begin to 'wake up' and get strong enough so that reliance on the machine to walk will become a distant memory. The cost ranges between $80,000 - $100,000. 2. Buy the Whill motorised wheelchair which will enable me to transport and wear the exoskeleton for outside excursions. The current wheelchair I own is too narrow for the exoskeleton to fit. The Whill costs about $10,000. 3. Acquire a standing frame and other necessary rehab equipment needed on a daily basis to ensure the maintenance of core and arm strength, flexibility and bone density which are steps towards full recovery. Cost of standing frame and other equipment $12,000 - $15,000. 4. Pay for rehab costs and travel expenses till year end $55,000 - $65,000. I need your help while on this journey to total healing. Every single cent and penny counts and will be directed towards any future rehabilitation costs and purchase of physical therapy equipment. I will include periodic updates of my progress, equipment purchases and rehab milestones. Thank you all in advance for your kindness, generosity and open hearts. With each donation, prayer and well wish sent, I pray a blessing falls on each and every one of you.